Q: Your action/reaction character interplay always seems exactly right. How do you manage the balance; where does the inspiration come from? KD: For me, the key to character/character interplay comes from observation. Because of a decades-long hearing impairment, I’ve studied every aspect of social interaction – whether or not I was involved. I “heard” with my eyes. Compensating for the lack of words, I ‘read’ body language, guessing (not always successfully), while trying to fill the gaps of missed dialogue. In writing situations, I use the senses: Sight, feel, taste, smell, hearing plus a large dose of intuition. Applying all these bits of information enriches a scene or an interaction between characters. About balance: I’ve found, in real life, there are few all “bad” or all “good” people. Everyone has their good points and everyone has flaws. Each has some personal code of behavior or ethics – even serial killers have methodology (eeek!). Murderers have their own twisted reasons for what they do, why and how. I try to portray the belief system of each character and reflect it in their actions. In creating a ‘balanced’ character, I believe four things need to agree: dialogue (what the character says), internalization (what the character is thinking), body language (what the character does), and proprioceptive reaction (the involuntary physical reaction of the character to stimulus). If they do not agree, (a very useful tool if applied deliberately) it is easy for the reader to guess something is amiss. Often, writing what is “not happening” is more effective than writing what “is”. My favorite character to create: I love strong female protagonists. So, tell me what you think of character interplay. Kaylan’s right, that close observation translates to body movement that makes characters more believable and real. Below is the cover from her book. This post makes me want to read one of Kayla Doyle’s stories. Since I watch the TV show “Sue Thomas FBEye” which has a hearing impaired woman as the heroine I was overly fascinated with lip reading and body language reading. There are other shows on TV now that deal with reading body language like ” the Mentalist” or this other show where a police team is specialed in that. I think it is pretty cool and scary too, that we react without wanting it or realizing it. I love that you brought up the fact that dialog, internalizations, body language AND involuntary reactions must all work together. Just like in real life, words don’t begin to say it all. The wonderful thing about fiction is the “ticket” the author gives to the reader to be admitted to the character’s “inner workings”. That’s often something I miss terribly when a book I enjoy is made into a movie. 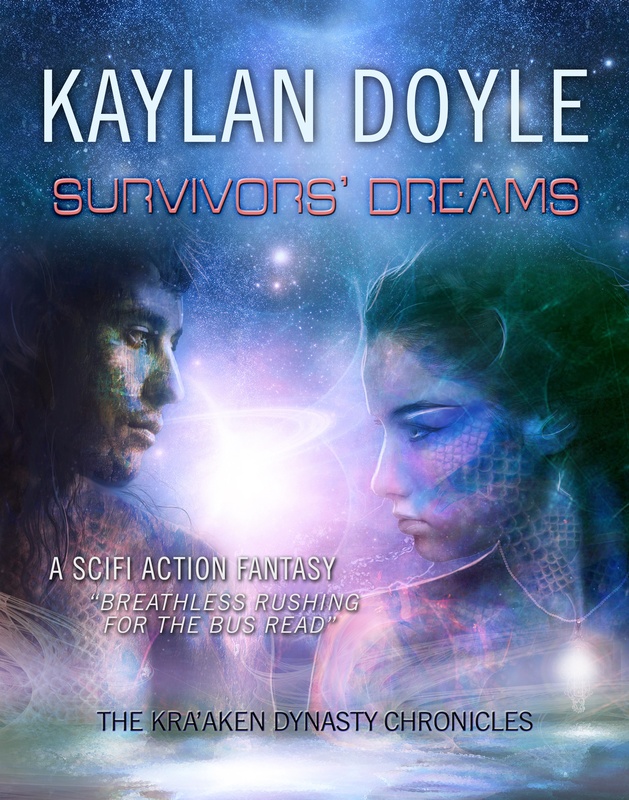 Having read Kaylan’s Survivors’ Dreams, I can tell you she has done an outstanding job of playing all four of those elements to tell each character’s story. You become invested in the characters in a way that’s impossible in TV or movies. Read her book, Jenni — I’ll bet you get hooked! For television shows, I like ‘Lie to Me’ because of watching the body language. It’s great when you find that in a book, and when it’s done so that the physical language isn’t cliched, corny, expected.To me it works best as part of the whole, like everyone has mentioned here, and when it’s organic, so that it’s part of who the character is. Rather than movement that is stilted and obviously happening because the writer is thinking, ‘oh, I need some body movement here’.